Over the years, I’ve treated numerous patients with diabetes at my Boerne dental office. We always want every patient to make sure they’re taking great care of their teeth, but it’s important for folks with diabetes to be even more vigilant about maintaining their oral health care routines. Why? 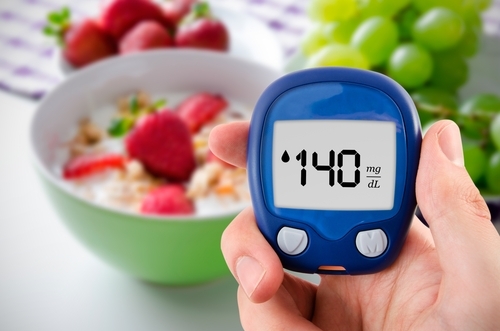 Unfortunately, diabetes can leave you more susceptible to other issues that affect the mouth and teeth. These include: periodontal (gum) disease, infections, poor healing, and dry mouth. Your Boerne dentist knows that keeping your teeth and gums healthy starts with great at-home care. Always make sure to brush your teeth at least twice a day with fluoride toothpaste to protect against tooth decay. Usually first thing in the morning and then again at night before bed works best. Be sure to use a soft brush and soft circular motions to clean the front, back, and top of each tooth. Don’t forget to clean your tongue too. You should also floss at least once a day. Flossing will help keep pesky plaque from building up and causing potential problems. If you have dentures, keep them clean, take them out nightly, and have them adjusted if they’re loose or uncomfortable. At my dental office in Boerne, we want our patients and their smiles to be in the very best health every day. If you have diabetes and notice anything unusual about your mouth or teeth as you go about your daily hygiene routine, please do not hesitate to give us a call. We’re always happy to answer any questions you may have. Welcoming patients from Boerne, Fair Oaks, The Dominion, and beyond. At my Boerne dental office, we take gum (or periodontal) health seriously. Gum disease is avoidable, but can lead to bigger problems if left untreated. This month is National Alzheimer’s Disease and Awareness Month, and we want to remind patients who may be in charge of caring for aging loved ones struggling with dementia not to allow oral health to fall by the wayside. 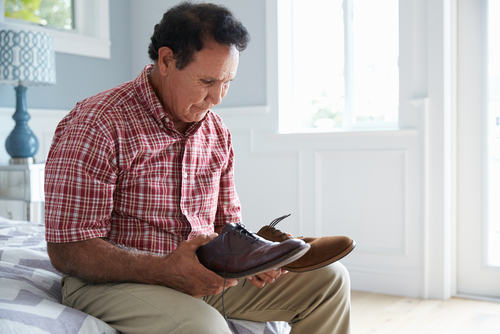 Unfortunately, older patients with dementia-related conditions are more susceptible to tooth decay and gum disease due to a decline in personal hygiene and possible side effects from medication. According to a recent study in the Journal of Alzheimer’s Disease, there is a chance people with poor oral hygiene or elevated gum disease could possibly be at a greater risk of developing dementia and Alzheimer’s disease. If you or if you suspect someone in your family may be experiencing the signs of gum disease (i.e. red, swollen, bleeding gums and discomfort), visit your Boerne dentist right away, so we can assess your symptoms and start any necessary treatment. Scientists and doctors are still conducting tests and studies to definitively verify a link between gum disease and dementia. Some of the most recent research shows gum disease bacteria was found in brain tissue samples taken from dementia patients, but the same bacteria was not present in non-dementia patients. It’s still too early to say for sure whether gum disease causes or is linked to dementia. Bad bacteria is the main reason for concern when it comes to gum disease. Why? Because the bacteria can enter our bloodstream, which could be a possible cause or link to dementia or even other physical illness such as diabetes or heart disease. The truth is: bacteria are always present in our mouths. When gums are in ill health due to disease, routine tasks such as eating, chewing, and brushing can send the bacteria to the bloodstream. To help keep you and your teeth in excellent health, it’s important to visit my dental office in Boerne for your regular checkups and oral hygiene cleanings. We are always available to help answer your questions and make sure you have all the necessary knowledge and tools to keep your smile in the best shape possible! Accepting new patients from Boerne, Fair Oaks, The Dominion.